Don't be timid and uncertain, or rather shove it deep inside you. It's a huge turn-off for women as they envision an ideal man be strong and confident. You can hide your timidity till you master the art of exhibiting confidence in approach, if you have to "fake it". A man who is self-assured will approach in a casual manner, without hesitancy, as if walking over to greet a friend. Stand up straight to make the maximum out of your height (you can lose inches by slouching). Keep your head up, revealing the throat area a little (a good sign of confidence) and push your shoulders back (pushing your chest out a little). This is a good, confident posture. No woman will feel comfortable being approached by a man looking like a stone cold serial killer. And my guess is, you are looking forward to making her comfortable. So! You have to be warm, look in her eyes and smile. I cannot over-emphasize the importance of the smile as you approach, it shows you are not posing a danger and that you are open and fun. Be passionate and enthusiastic - you are having a fantastic time and you want to share the experience with her. You will impress if you express. Once you have approached and started talking to her, try to relax as much as you can and do not put pressure on yourself. 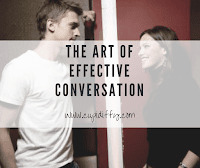 The less you are worried about the outcome of the conversation, the more you will find yourself relaxing and the easier the conversation will flow. If you are on edge, it will put her on edge. If you are a naturally nervous person, this is definitely an area you should work on. If you are approaching a woman in company of her friends, make sure you engage the entire group - do not just focus on the woman you most like. Engaging everyone in the group will make her perceive enthusiasm come from you. And if her friends turned out to like you? I'm talking extra points for you. We naturally mirror the body language of people we have rapport with. By being aware of this, you can use the mirroring technique (mimicking some of the elements of their non-verbal) to facilitate the rapport between the two of you. You can consider mirroring breathe rate, body posture, gestures, facial expressions, and speech. NB: Mirroring should be made as subtle as possible. To avoid the risk of the woman sensing it, since it may creep her out. Body Language (The Importance in Approach. Got any suggestions or questions? Use the comments box. Need more Body Language Hacks?Click Here.